This red wool fascinator is by Jeanne Simmons. It's a mini top hat, too. 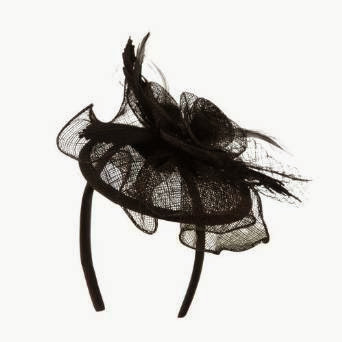 This top hat fascinator is made from organza and felt. This black headband fascinator has a black rose on top. 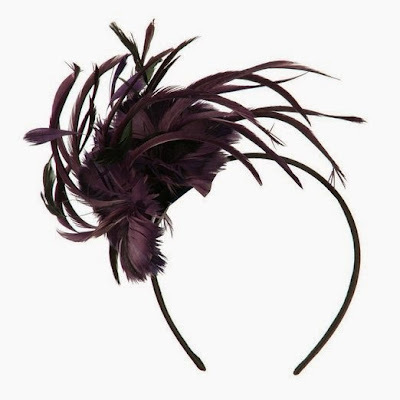 If you want to step away from all-black all the time, here's a nice purple feather fascinator. 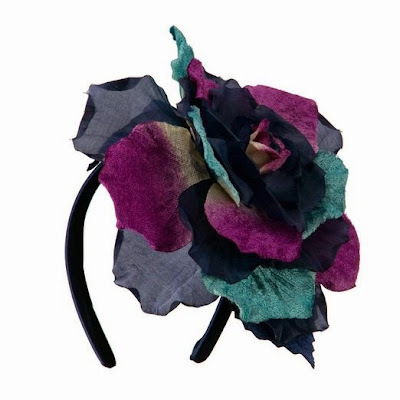 This velvet and silk fascinator might be too colorful to be gothy, but I thought some gothic Victorian lovers of fashion might enjoy checking it out anyway. 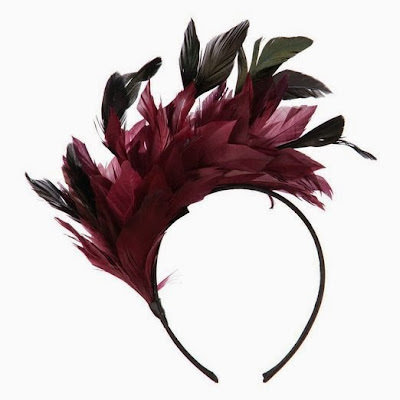 I like the jaunty look of this burgundy fascinator. 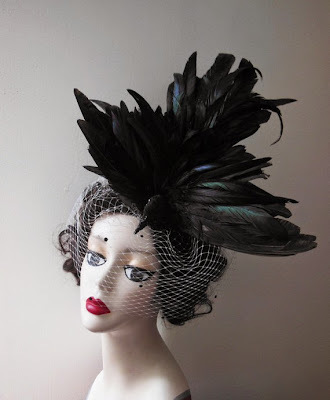 Check out this gorgeous and incredibly expensive black fascinator from Batcakes Couture on Etsy. Here's a fascinator with a spiderweb motif. 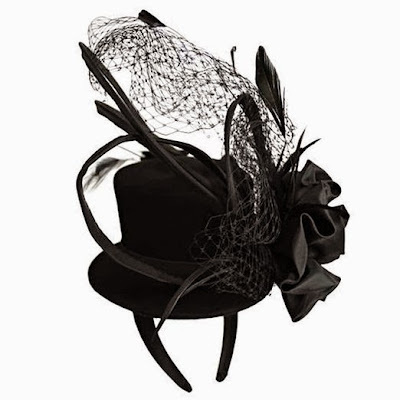 I am so very impressed with this graveyard top hat fascinator! How clever! 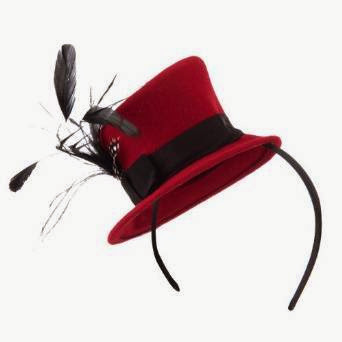 From the same seller, here's a cool Raven top hat fascinator.